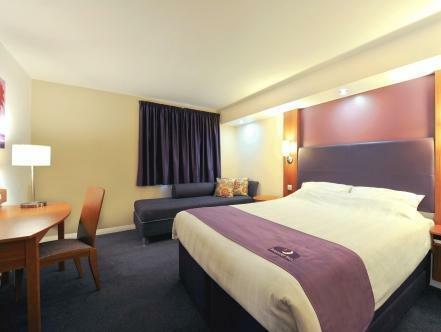 ﻿ Premier Inn Brentwood Brentwood. JIMAT di Agoda.com! 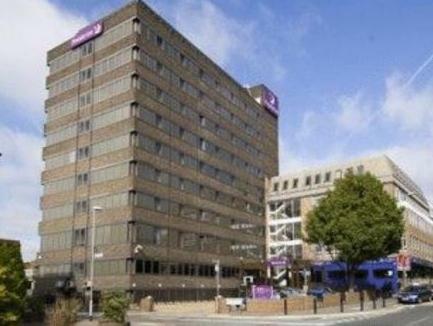 Hanya 2 minit berjalan kaki dari Stesen Keretapi Brentwood dan 10 minit berjalan kaki dari jalan yang tinggi, Premier Inn Brentwood terletak di timur laut London dan mempunyai tempat letak kenderaan percuma serta pub/restoran Thyme di lokasi. Kedua-dua lebuh raya M1 dan A12 berjarak 5 minit pemanduan jauhnya. Brentwood Premier Inn mempunyai katil yang sangat selesa di semua bilik. Beberapa bilik di Premier Inn boleh memuatkan 2 tetamu dewasa dan sehingga 2 kanak-kanak (berumur di bawah 16 tahun). Dua kanak-kanak juga akan menikmati sarapan penuh secara percuma jika ditemani oleh seorang tetamu dewasa yang mengambil sarapan penuh. Sarapan penuh makan tanpa had menyediakan hidangan makanan biasa yang dimasak, termasuk sosej vegetarian serta pelbagai pilihan sajian kontinental. Nice hotel for the location, free parking, nice big room, value for money, definitely will be back to this hotel again. The Premier Inn Brentwood continues to remain my favourite place to stay when travelling on Business. This time the check in staff seemed friendlier than previously and helpful with bags etc. Good clean hotel good location for the Train station. another good stay at the premier inn brentwood, the hotel continues to provide good clean basic rooms which is exactly what it claims to do. i had an issue checking in this time as i had forgotten my card pin number and the receptionist was not helpful in any way, no pin no room was the approach he took. but i guess that's not his fault. It's a premier Inn that means you get exactly what it says on the tin, a clean room of average size with a clean bathroom. This is the second time I've stayed at this one and the hotyel was at ti's usual Premier Inn standard, although additionally the staff were very helpful with the luggage This hotel has the added benefit of an underground carpark which during winter months makes getting the car out in the morning much easier, although it is a short walk from the main doors. It's a premier Inn that means you get exactly what it says on the tin, a clean room of average size with a clean bathroom. This is the first time I've stayed at this one and the location is excellent, train station 2 mins walk, main high street 5 mins walk. This hotel has a automated check in system which to be frank makes the check in process much longer than other locations.